Fast & efficient shipping! 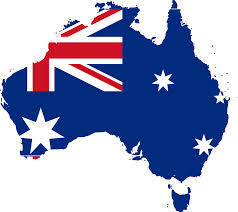 We are based in UK and now also in Australia, so you can expect your order to arrive within days not weeks. We ship orders daily Monday - Friday and all orders are sent 100% Free of Charge. Please note: Higher value orders may be shipped using recorded delivery at no extra cost to customers to ensure safe arrival. *Shipments within UK & Europe may take as long as 3-5 working days, within Australia & New Zealand 5-8 working days. Please Note: If the country that is receiving your order has strong regulations regarding the importation of goods including nutritional supplements, Simplex Health cannot be held responsible for any additional fees incurred by Customs and/or Quarantine scanning. We also cannot accept responsibility for items returned by Customs. I have not received my order what do I do? If you have not received your goods after 14 working days then please contact us and we will chase your delivery. Please note, that international delivery may take longer depending on the destination country. The quickest way is to contact the team is by email (quoting your order number and contact details). It is out of our control if delivery gets delayed due to postal strikes or natural disasters, however we will do our best to help solve any problems with lost items. We want you to be happy with your purchase but understand that sometimes you may need to exchange or return an item. Follow our returns procedure if you would like to return a faulty, damaged, duplicate, incorrect or unwanted item. This can be viewed here or under Returns at the bottom of the screen.